Spearheaded by the Arnold Lions, a partnership, including The California State Parks Department and Calaveras Big Trees Association (CBTA) was started in July 2017 to rehabilitate the deteriorating “Three Senses Trail” at Calaveras Big Trees State Park. The trail, originally built in 1976, enabled the visually impaired visitors the opportunity to experience the natural environment through the senses of touch, hearing and smell. Now, 42 years later, the trail is in the process of being repaired and updated to meet ADA standards. 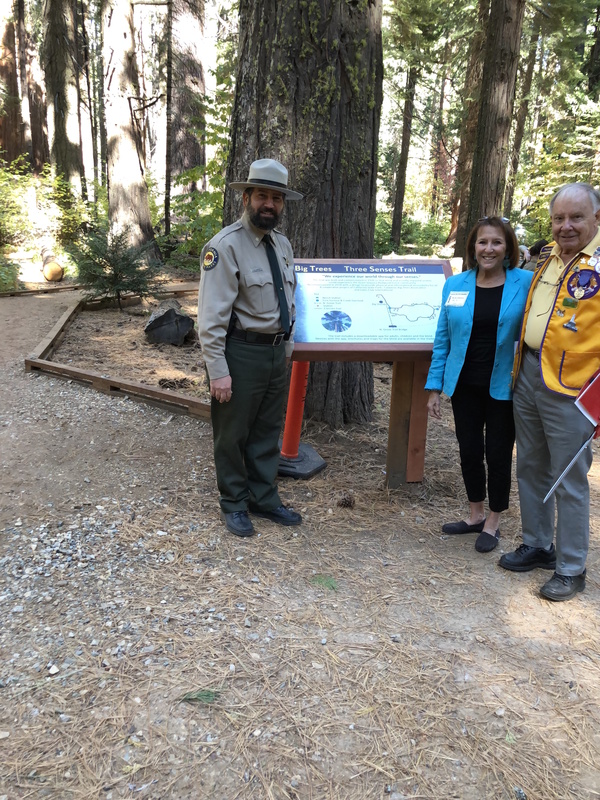 Principal funding for this project was provided by the Lions Clubs International Foundation and District 4-A1 Lions Club, grants from Calaveras Community Foundation and Sierra Pacific Industries and contributions from supporters of Calaveras Big Trees State Park.